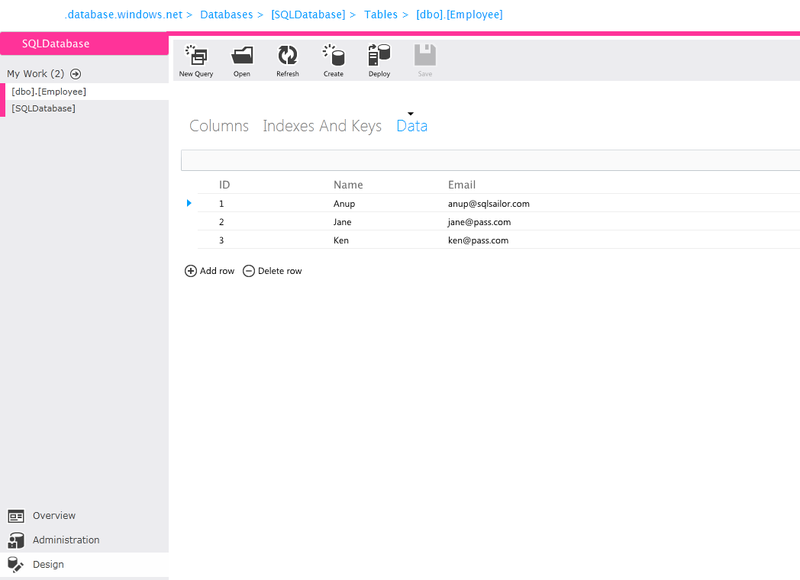 In this post we will review some basic DML,DDL capabilities of SQL Database on windows Azure. 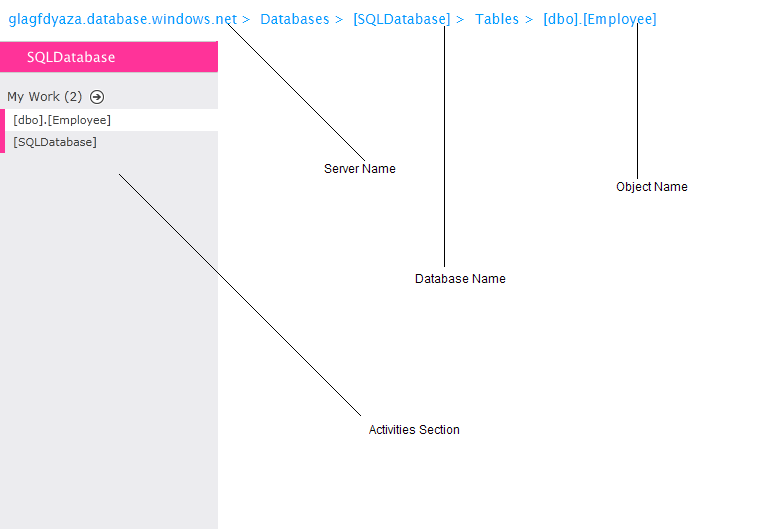 For the purpose of this demo we will use a database named SQLDatabase and Table dbo.Employee. There is already some data which is entered for this table. Using Desgin view and under Data column we can see these details. The best part of the portal I liked is it gives a clear tree like structure of my activities and the object hierarchy is also shown pretty neat. 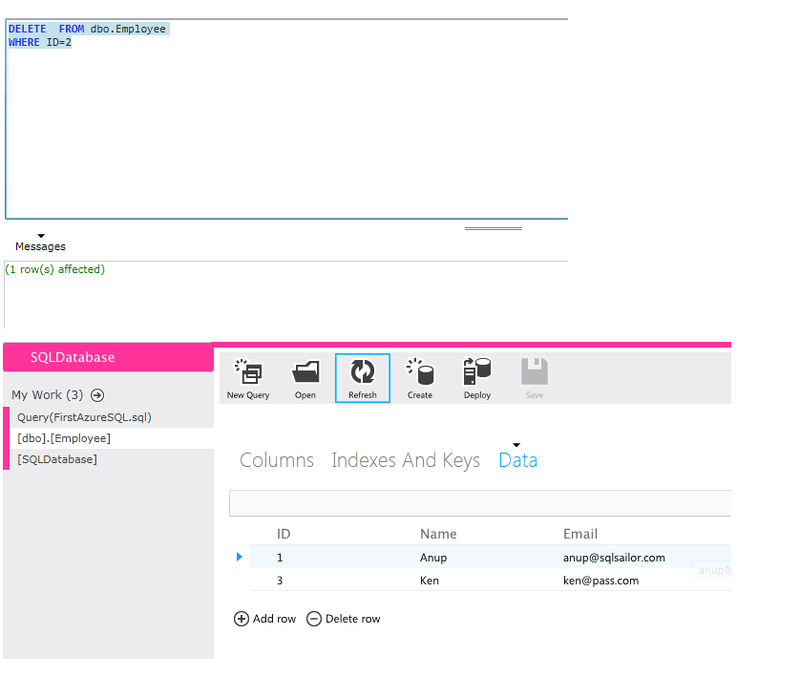 We can write a simple SELECT statement using the New Query option to retrieve the data. 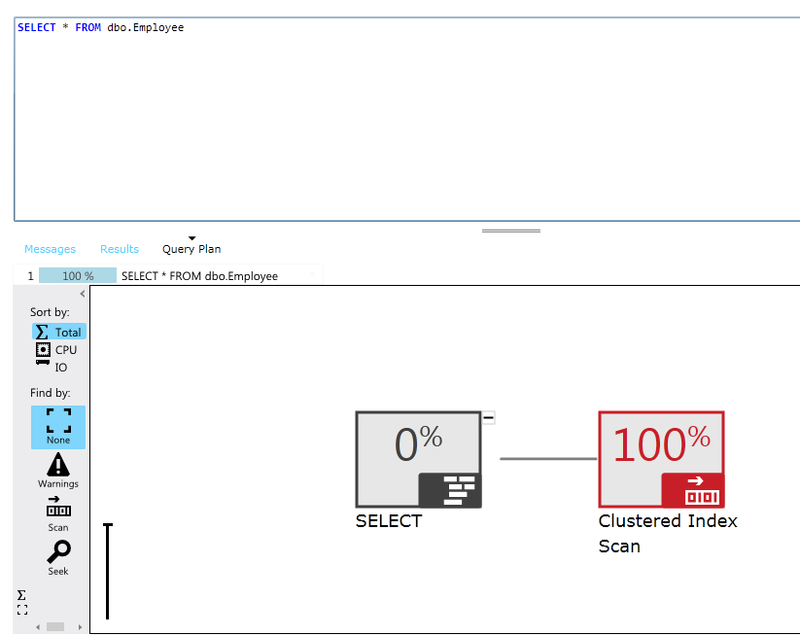 If you run with Actual Execution plan, then the query plan details are also made available. Now we will quickly do a simple DELETE statement for one of the rows. Once delete is completed we can go back to Table view under My Work and see if changes are reflected (Refresh is required). It’s pretty easy to create your own scripts and Open them in the design view of the portal and create your objects and relations. 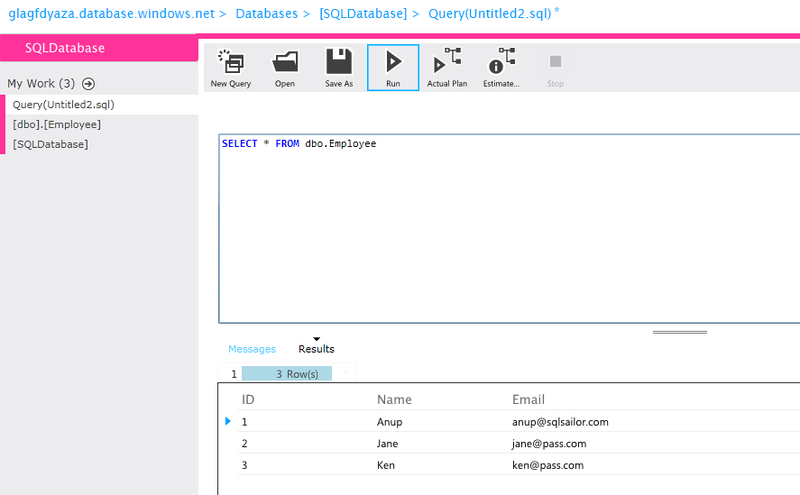 We quickly looked at simple DML and DDL operations within a SQLDatabase and for a complete list of supported TSQL Statements for Windows Azure SQL Database you can bookmark the below link. There is more exciting stuff lined up, so keep checking this space ! 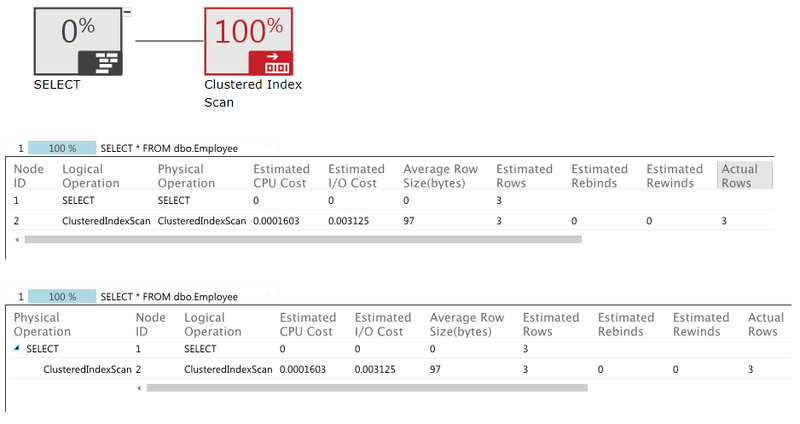 ← Capacity considerations while moving SQL workloads to a Virtual world !